Time to find the stars of the future in SI's massive sim. The latest iteration in one of gaming's most intricate sim series' is live today on Steam. 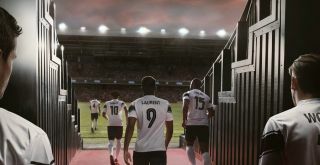 Football Manager is consistently good, but we particularly liked this year's edition, giving it a big score of 90 in our Football Manager 2019 review. This entry introduces VAR for maximum controversy, and streamlined tactical customisation options that let you set up your team's play style more easily. The new training options give you more detailed control of your players' progression while extending the dynamics systems introduced last year. As Joe says: "Whereas previous Football Manager games required Claudio Ranieri levels of tinkering to nail down personalised tactics, FM 19's system simplifies and streamlines the process, recommending on-pitch roles along the way, with the option to autofill your best-suited squad once the strategy is in place. I cannot stress how helpful that last part is. In conclusion, this year's Football Manager is "the best at what it does, and FM 19 is the best it's ever been." It creates great stories too, like the one about a management sim fan who went on to become a football manager himself. If you're picking it up this weekend, do me a favour and rescue Aston Villa from their slump. If enough people do it we might somehow affect reality together.